AWD.When you choose to buy from Ken Garff Nissan Riverdale Ogden, you get more than a great price and a reliable vehicle. You get the customer service and professionalism backed by one of the top 10 dealers in the U.S. Recent Arrival! Odometer is 1572 miles below market average! 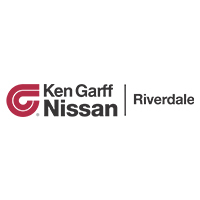 21/26 City/Highway MPGTake a test drive today at Ken Garff Nissan Riverdale Ogden.